These Asian-inspired meatballs contain plenty of ginger and garlic, and fragrant cilantro. 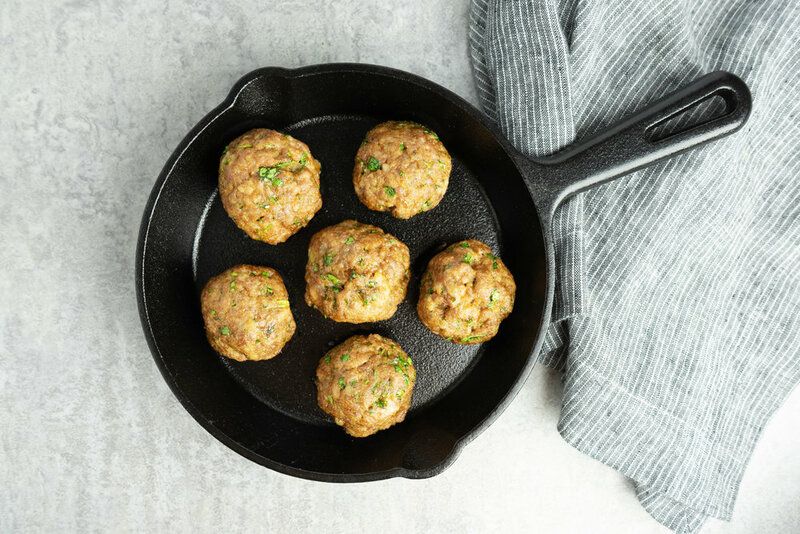 They are as easy as your usual sweet and sour or Italian-style meatballs but can be served in a few unique ways. Try them with rice noodles or zucchini zoodles for a pasta type dish or wrap in lettuce leaves with some pickled vegetables for a lunch or dinner similar to Vietnamese banh mi. Served with a toothpick, these would make great bite-sized appetizers for a party as well. 2. In a small bowl, whisk the sesame oil with the coconut aminos (or tamari), fish sauce, salt, garlic powder, onion powder and ground ginger until combined. Stir in the cilantro. 3. Place the pork in a large bowl and gently knead with the sesame oil mixture until combined. 4. 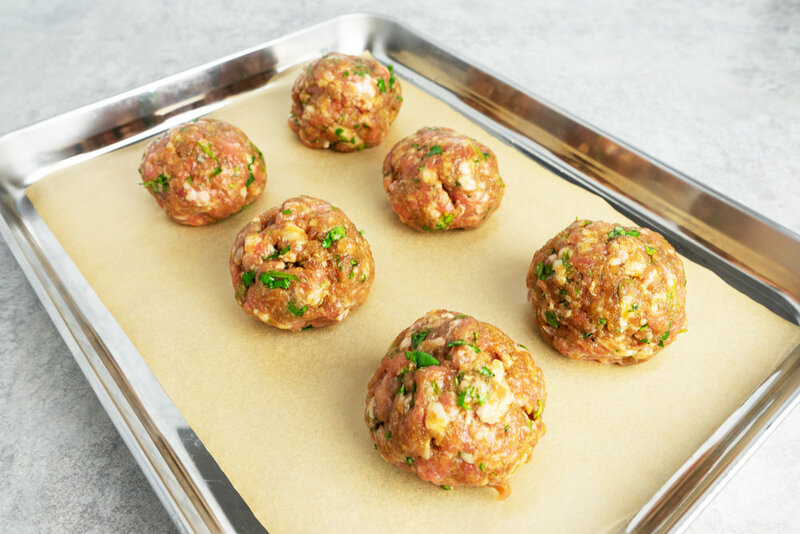 Divide and shape the pork mixture into 8 meatballs and place on a parchment paper lined baking sheet. 5. Bake for 20-25 minutes, or until an inserted thermometer reaches 165 F (74 C).